Hengyang, in southern China, is famous for its soup of rice, or Hunan, noodles. 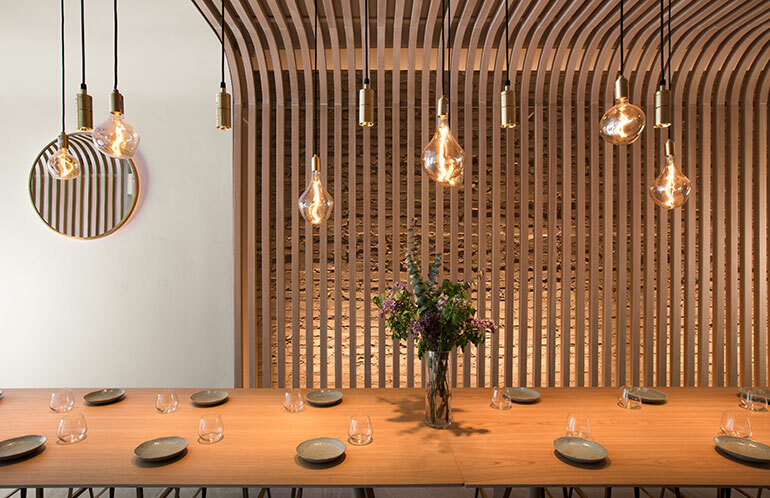 When chef Chao Wong, a native of the city, was planning a restaurant in the East Village offering the fare he grew up on, he decided to represent it both in name and design. 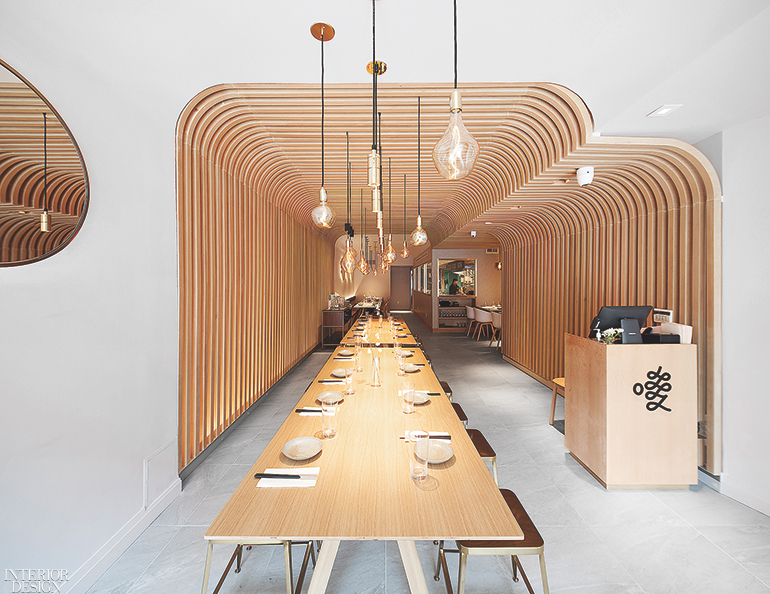 The result is Hunan Slurp, a 1,600-square-foot eatery by New Practice Studio featuring a canopy of nearly 100 curved wooden slats symbolizing noodles. 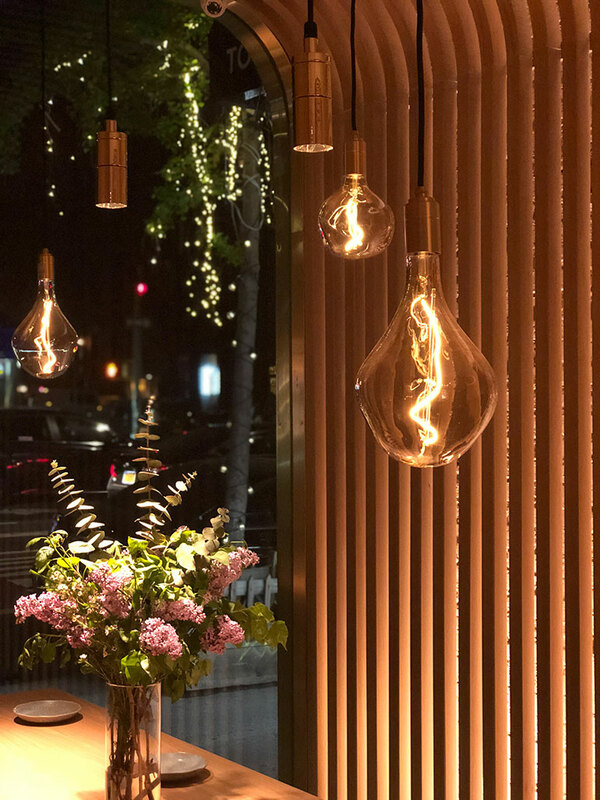 To emphasize the strong axial directionality of the space, dozens of pendant fixtures in varying styles descend from the ceiling. 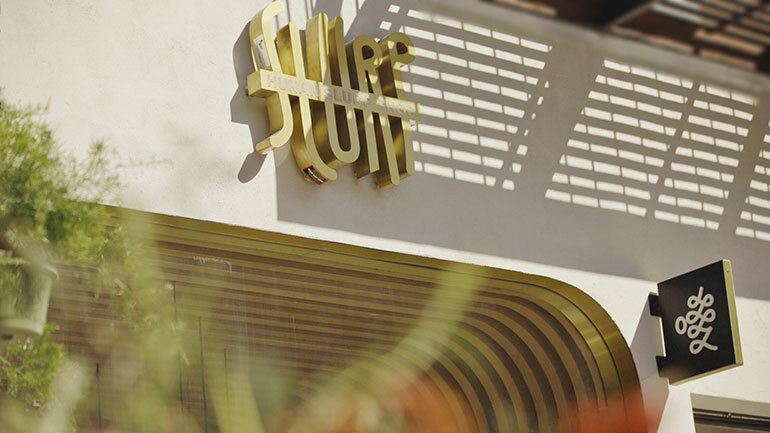 For the restaurant’s logo, Wong employed the Chinese character for “slurp,” slightly tweaking it by adding a circle and a winding line to portray a bowl and, yes, a noodle. 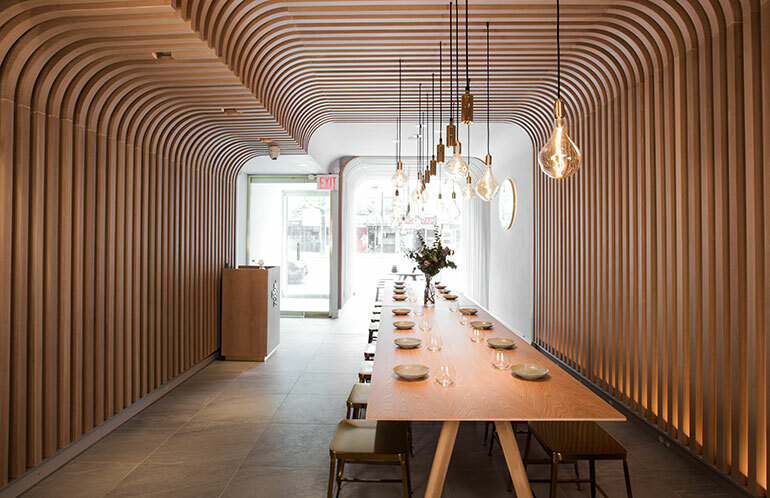 At Hunan Slurp in the East Village by New Practice Studio, an installation of 96 oak-veneered slats represents noodles. Photography by Montse Zamorano. 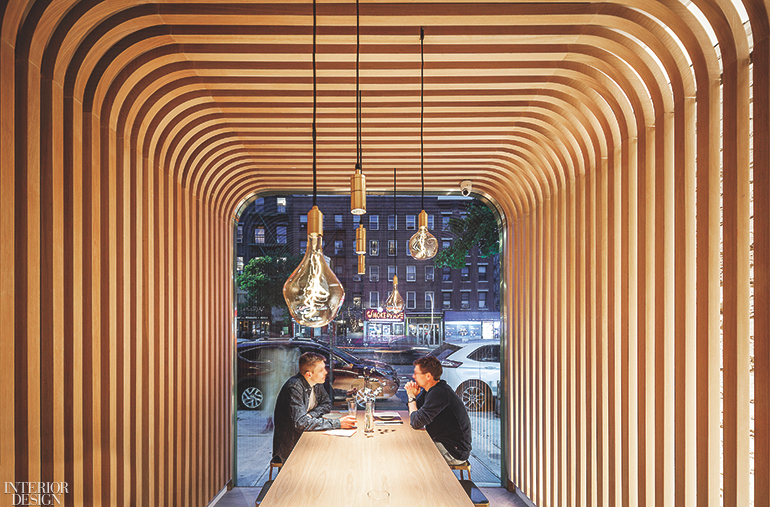 Solid oak topping the communal tables. Photography by Montse Zamorano. 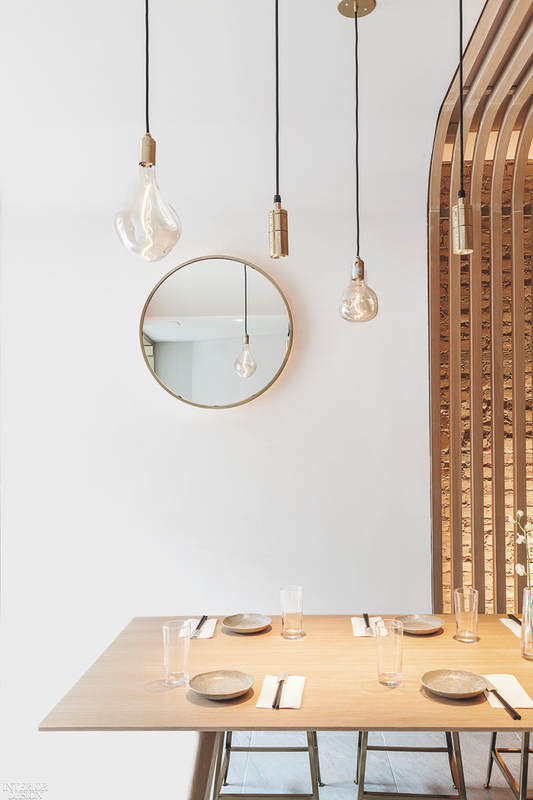 Junrui Wang’s 56 pendant fixtures incorporating three different styles. Photography by Montse Zamorano. 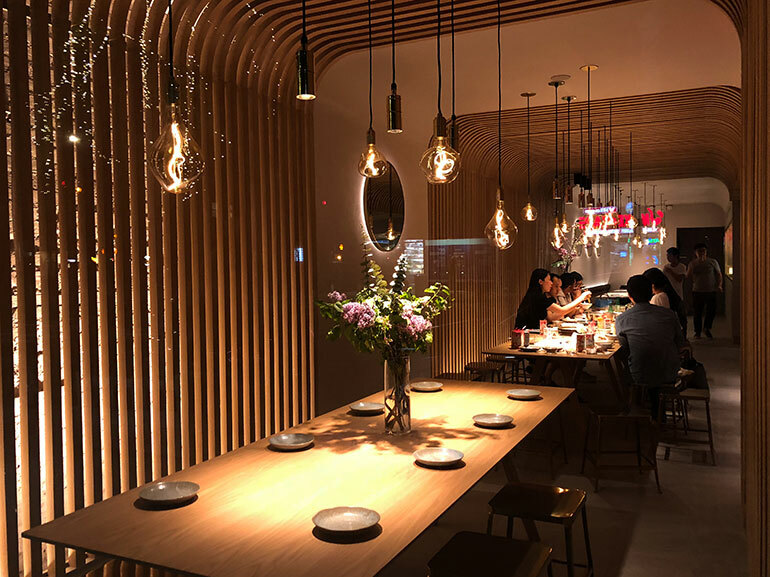 ONLINE EXCLUSIVE: Photography courtesy of Hunan Slurp.